The first spring, at what is now one of the UK’s leading spring and pressing suppliers, came off the line seventy years ago this month. 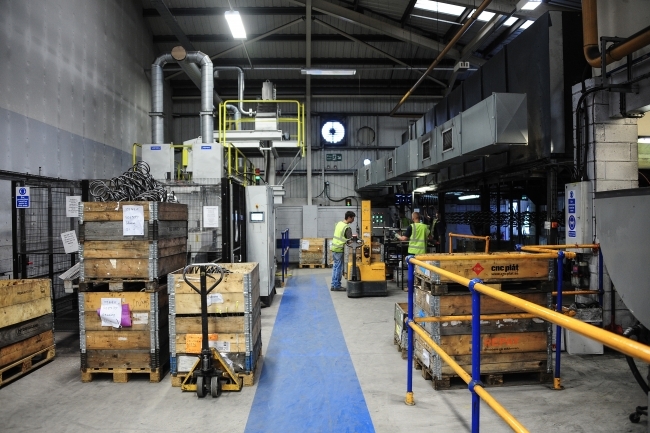 Established in 1948 on a small site in south London, European Springs & Pressings has grown into a multi-million pound organisation with factories, logistic centres and sales offices across the UK. Facilities across their 7,000sq metre sites include stamping, coiling, multi-slide, heavy coiling, high speed stamping and assembly, as well as both high and low volume production capabilities. Where the latest technology, 70 years ago, could produce 30 parts an hour, the company can now produce 3 million components an hour. It used to be muscle strength that initially led production but it’s intellectual muscles and computer technologies that now lead the way, advancing the company’s lean manufacturing excellence. Serving clients from across aerospace to the agricultural sector, lighting to medical, power generation to electronics, construction to automotive and everything in between, customers from major blue-chips right down to specialist niche companies, European Springs & Pressings is quite unique to other UK spring makers in that it covers a whole variety of disciplines. Manufacturing tension, torsion and compression springs with diameters from 0.03mm to 65mm, they also have pressings and multi-slides up to 130 tonnes and have an unlimited design spectrum of wire forms. In 2007, the Lesjofors Group acquired the organisation which has seen European Springs & Pressings reach new international markets, achieving exceptional year on year results with turnover increasing by 700% in Cornwall over the last decade. To mark the occasion, European Springs & Pressings commissioned a timeline, a symbolic image showcasing the diversity of their products and all indulged in celebratory events across the company. Michael Gibbs, Managing Director of the Cornwall factories concluded: “Our 70 year heritage has seen us survive eight recessions, swim against tides of manufacturing decline and diversify into markets which account for nearly every sector of every industry.